Today’s Follow Friday is woodworker David Picciuto, who was featured in the Show Us Your Woodworking section of our July 2013 Wood News. David has always been into art and design with a photography background, which is actually what got him into woodworking in the first place. He was looking into frames for his photography and was shocked at the price of them, and like many people decided it would be cheaper to just make his own frames. While he didn’t actually make any frames in the beginning , he bought the woodworking tools to make them and quickly got hooked to the craft. 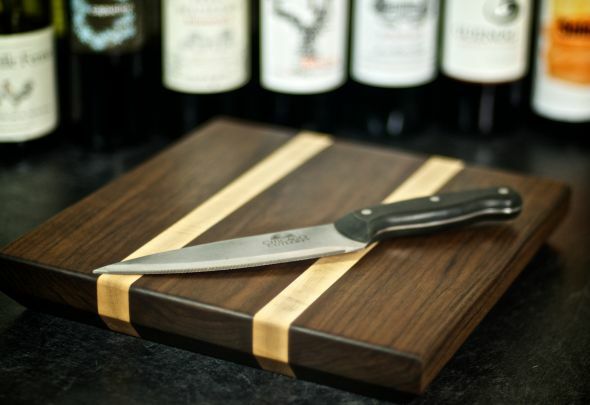 With a modern approach to woodworking, David runs his own website known as Drunken Woodworker, which you can visit HERE. He describes his website as “your repository for woodworking inspiration and resources. 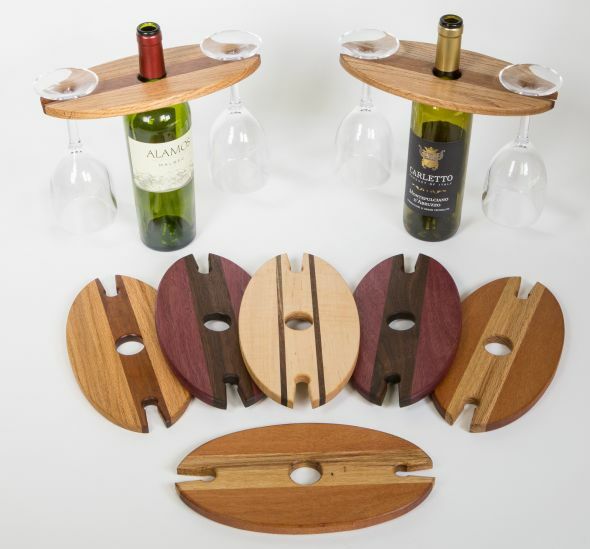 With a focus on design and smaller, crafty projects like bandsaw boxes, wine displays, pencil holders, art supplies and everything else made of wood. I have a growing library of bandsaw box plans, patterns,woodworking tutorials and videos including links, feeds and podcasts from some of my favorite woodworking artists and instructors.” Whether you’re looking for ideas or just want to see some creative and interesting pieces of woodworking, you should definitely check it out! Below are some of his pieces, which you can see more of at his website HERE. 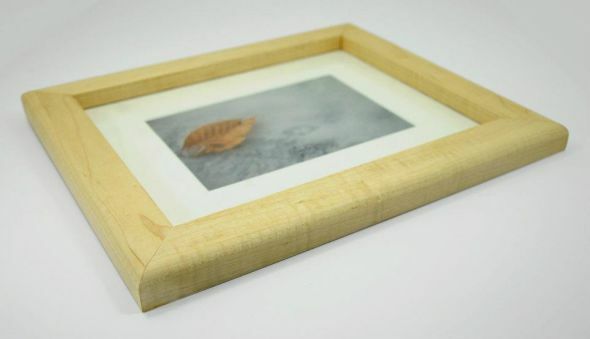 Picture frame made from maple and finished with pure tung oil and wax. “Omaha” Bandsaw box made from lacewood and baltic birch plywood. Finished with Highland Woodworking’s 3-part finishing system. Wine bottle and glass holders. Mahogany, purple heart, red oak. Finished with wipe-on poly. 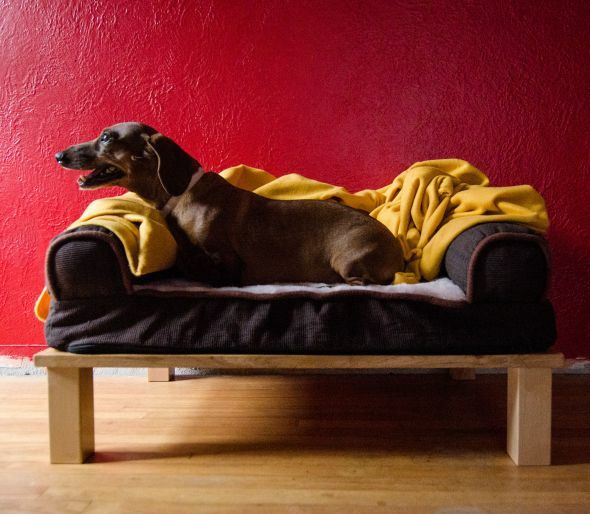 Dog Bed Riser-Made from cherry plywood with red oak edging. Finished with boiled linseed oil and polyurethane. If you have any questions about his pieces or methods, feel free to email David HERE. You can also follow him on Twitter HERE. Fridays on the Highland Woodworking Blog are dedicated to #FollowFriday, where we use this space to further highlight a woodworker or turner who we have featured in our monthly e-publications Wood News or The Highland Woodturner. Would you like for your shop to appear in our publications? We invite you to SEND US PHOTOS of your woodworking shop along with captions and a brief history and description of your woodworking (Email photos at 800×600 resolution.) Receive a $50 store credit redeemable towards merchandise if we show your shop in a future issue. 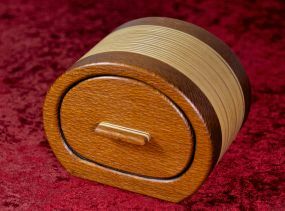 The bandsaw box, while obviously small, is exceptionally beautiful. Such great attention to detail and seems like some great polishing work too.